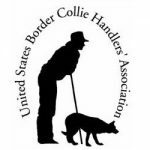 The United States Border Collie Handler’s Association, Inc. (USBCHA) is the sanctioning body for sheep and cattledog trials trials throughout the United States and Canada. It was founded in 1979 and has grown into an organization of more than 800 members. Members who qualify at sanctioned Open trials during the year are eligible to compete in the USBCHA National Sheepdog and Cattledog Finals to determine the champion Open dog and handler for that year. The USBCHA had our first National Cattledog Finals in 2001. The USBCHA is comprised of 10 districts which include each state and province of the United States and Canada, respectively. Members from each district elect two directors who, in turn, elect the association’s officers. The membership as a whole elect three directors at large. USBCHA members come from varied walks of life and professions. They share a common love for the Border Collie and work to promote the herding instincts that make the Border Collie the premiere herding dog. The result of their work is on display at every USBCHA sanctioned trial.